An enjoyable CD, but I found the mix of styles a little disconcerting, and I’d have preferred the music to have been all jazz, all folky, or with more in the style of the final exciting track, Ngizohamba (I Will Go) sung in Zulu to the accompaniment of percussion only, mainly African hand drums, very stimulating music which would have had me joining in if I could speak the language. 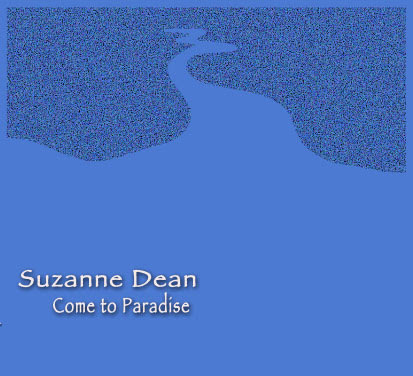 Come To Paradise, a folksong-like opening, a jazzy piano solo and effective singing from Ms Zuraitis, clear lyrics delivered in an alto voice. What Dreams Are Made Of, is a jazz-like love song featuring trumpet, but the next 3 numbers, Soulstar, On A Cloud, and Dance The Night Away all came across in a more ‘middle of the road’ style of music rather than jazz. Nothing wrong with that sort of music if that is what you like, but I didn’t expect it on this particular CD. The album is available on Ship’s Bell Music, from all fine retailers.